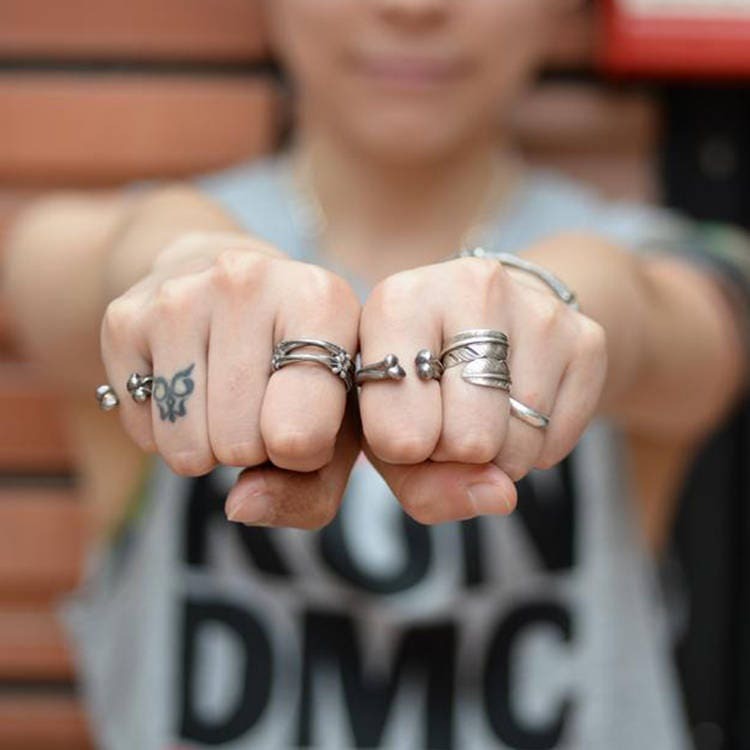 The Silver Bone Ring is designed as 6 silver bones joined end-to-end, and curving in a ring shape. 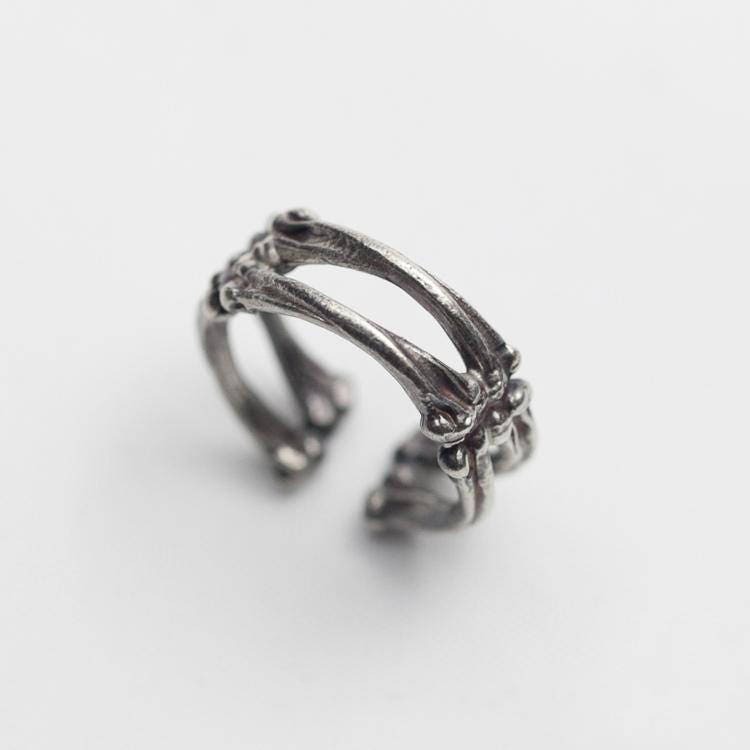 Crafted in 925 Sterling Silver, the whimsical bone ring is a fine accessory to wear with your Halloween costume! 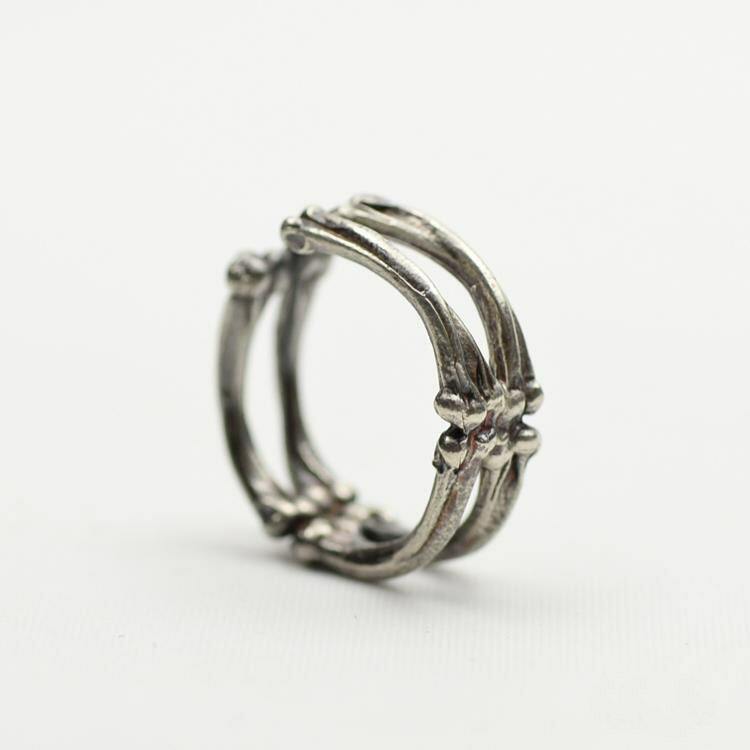 If you are a fan of gothic jewelry, this ring will surely appeal to you. 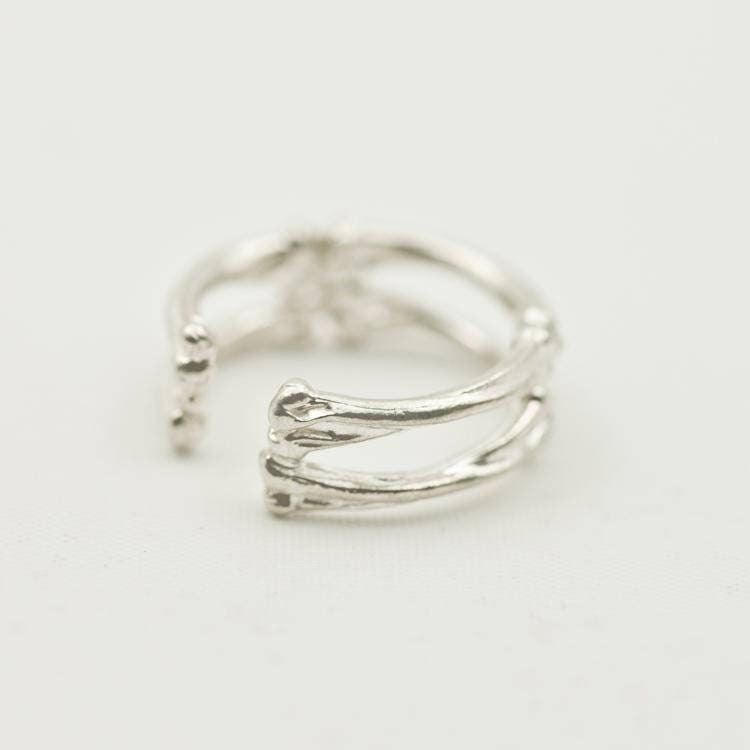 The gothic bone ring is oxidized to create an authentic vintage look - makes the bones look all too real! 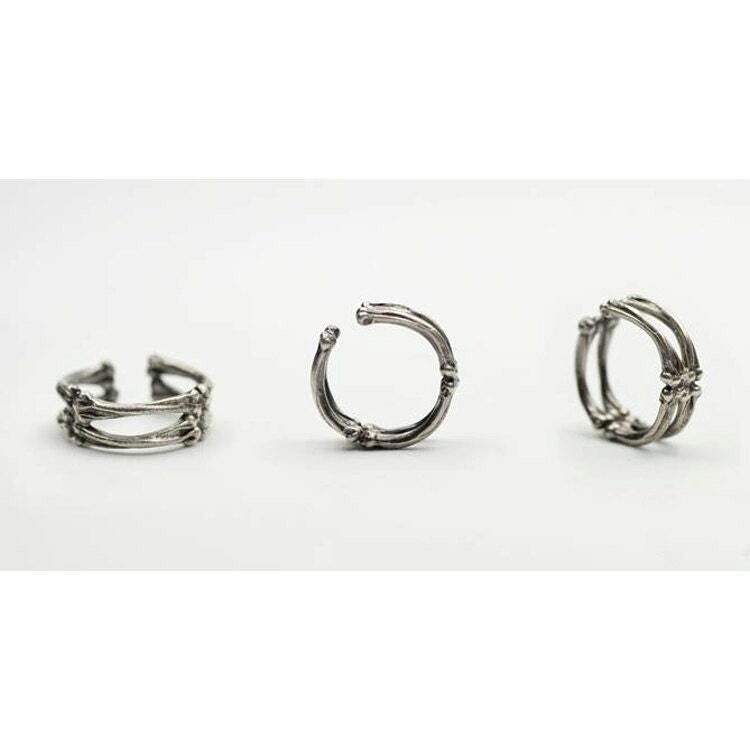 This is an adjustable ring, you can adjust it your exact size all by yourself - simply using your hands. We still suggest that you select the ring size carefully before ordering. 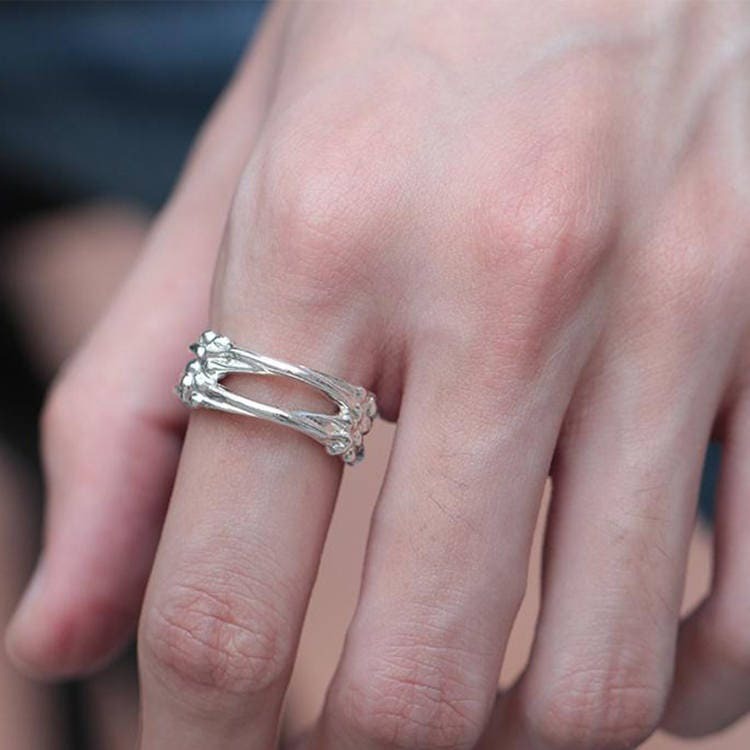 A bone ring of perfect dimensions, comfortable and adjustable for a custom fit. 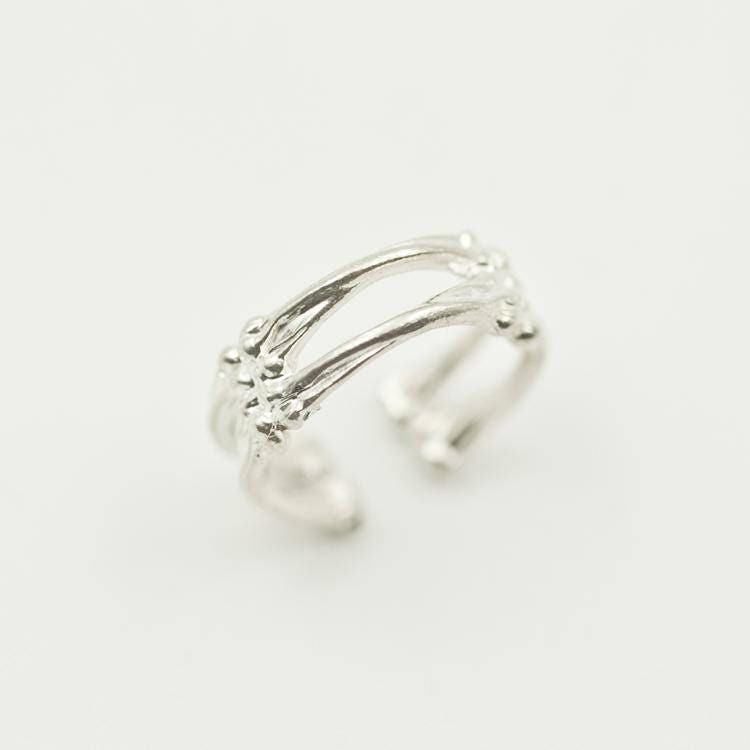 Great value for a handmade ring of this quality. Received on time inside excellent packaging with a polishing cloth. Love the design and fit; exactly the size stated. Service was excellent, very quick and thorough communication. The item itself seems to be of good quality and craftsmanship (not an expert though), it's decently heavy and shows lots of detailing. 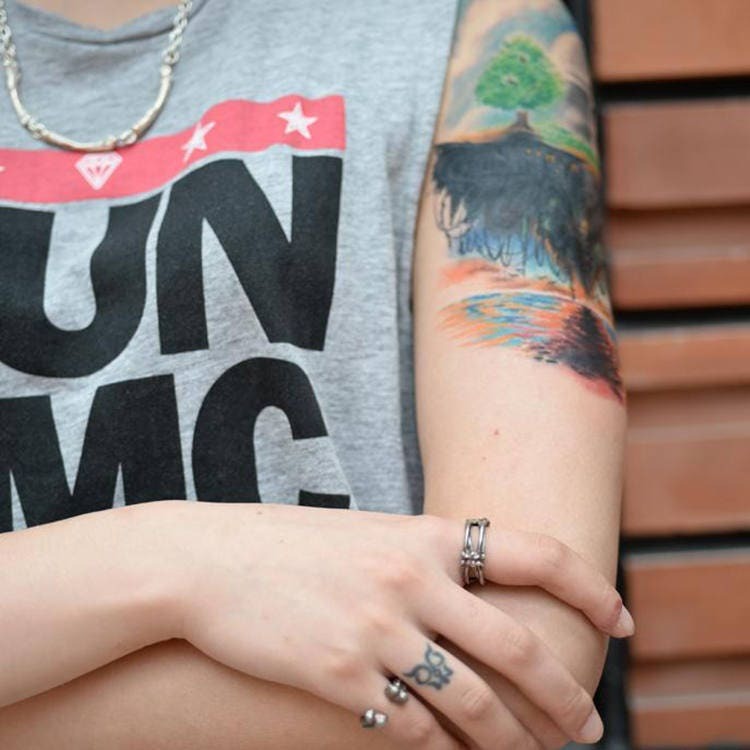 It was made to order, which took a while, but the actual shipping was very fast. Overall I'm very happy with this transacation and will likely purchase from them again.